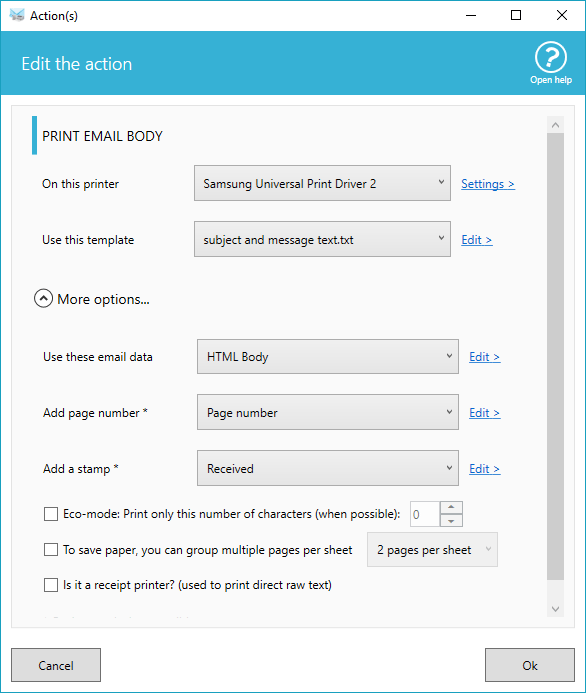 Automatically print your emails with attachments. Add stamp on page, like 'Received on ...', 'Shipped...', etc. 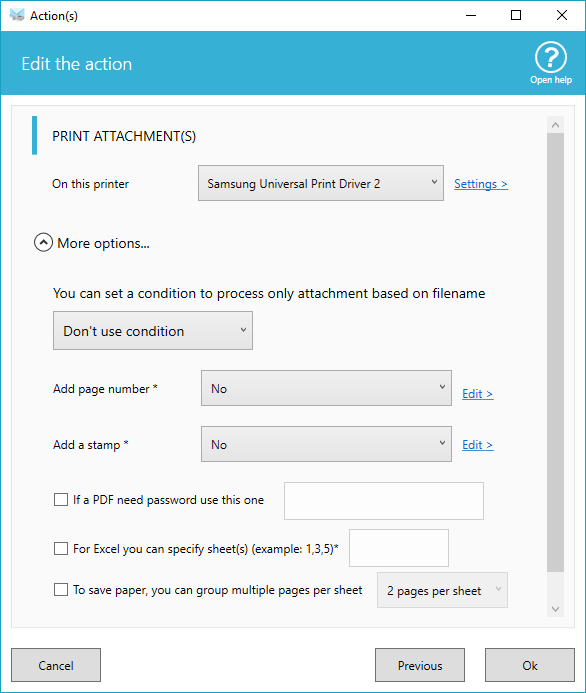 The attachments printed, or not!